This is the type of waterfall you should definitely be chasing. 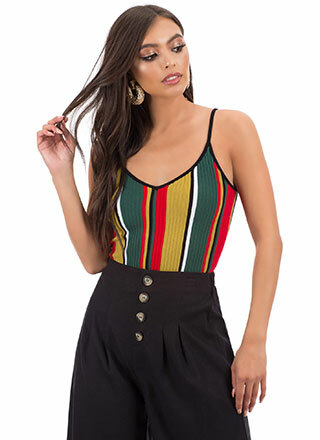 Stretchy, sleeveless, asymmetrical top features a deep-V neckline, a single spaghetti strap that crosses over the back, and a cascading waterfall hem that is short in the front and maxi-length in the back for an extreme high-low silhouette. No closures are included. Length: High: 24", Low: 67"